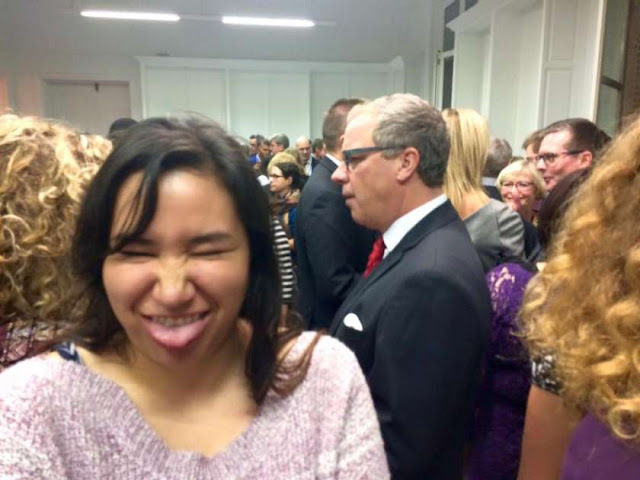 Erica Lee, an activist and the lone Saskatchewan representative in Canada’s youth delegation at a climate change summit in Paris, has drawn criticism for posting a photo online of her sticking her tongue out with Premier Brad Wall in the background. Think of my photo as counting coup. I don’t have a chance in hell at taking on the power, privilege, and resources of governments and corporations. Not in the venue of a ritzy celebration for canadian officials. Not when there are gendarmerie (military police) with rifles and riot gear lined up along every wall. Not while the format of this conference is designed to be a photo op for 150+ world leaders, designed to keep people like me out. But because I am privileged enough to be here, I will fight not to be invisible, using the few pathways available to me. In an interview with the Saskatoon StarPhoenix last week, Lee said that her work at the summit will focus on the intersection of climate justice and social justice, specifically indigenous people and exploited land. “I’m looking forward to mounting some sort of resistance to Brad Wall’s idea that one of the most important things is development and exploitation of the land. 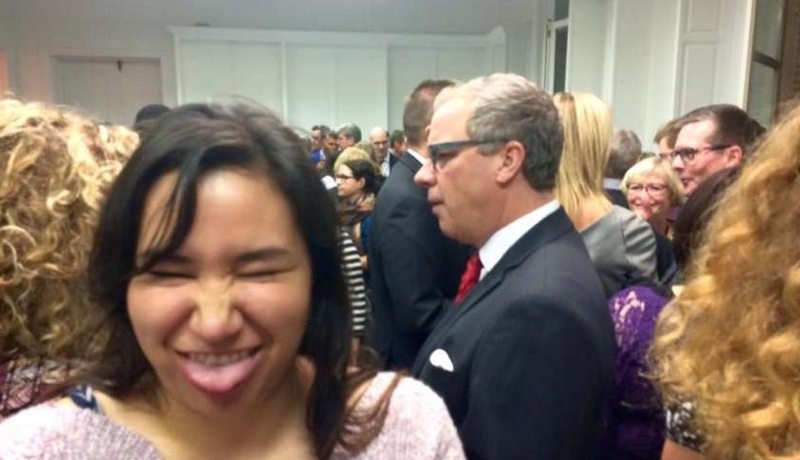 I hope I can take some of the stories I’ve heard in Saskatchewan about mining projects to Paris,” said Lee. 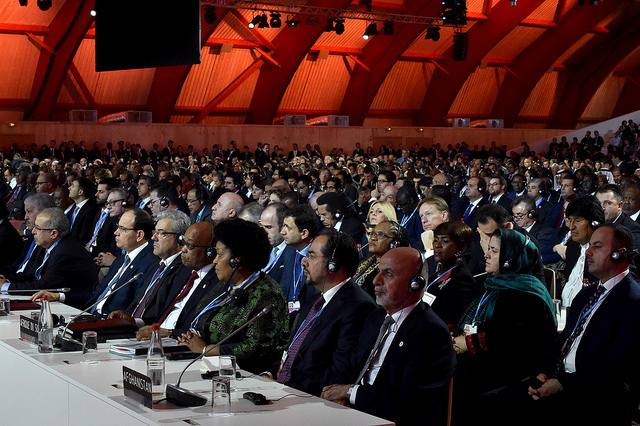 40,000 politicians, officials from 195 nations converge outside Paris – at Europe’s largest airport reserved only for private jets – for a conference they hope will change the world. Responses to "Young Native American activist shows what she thinks about the climate conference in Paris"
Her picture is priceless and succinctly captures how gross the politics of climate change...ie. wealth, race and class are!!! That pic tells it true. It IS RESISTANCE. good work !!! !